NRC was contracted for this project to demolish abandoned structures, manage and dispose of waste materials, and restore the site at a former Air Force Base. Prior to excavation, NRC performed waste characterization of contaminated soils and materials from multiple areas on the site. 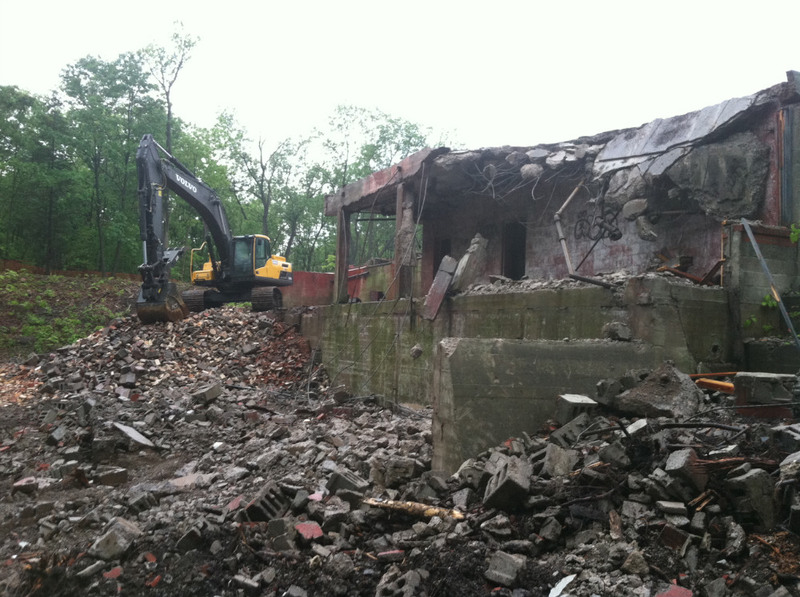 Demolition efforts included destruction of an incinerator stack with asbestos in place, pump house and underground cisterns, former waste water treatment buildings, clarifier tanks, sludge tanks, and trickling filters. 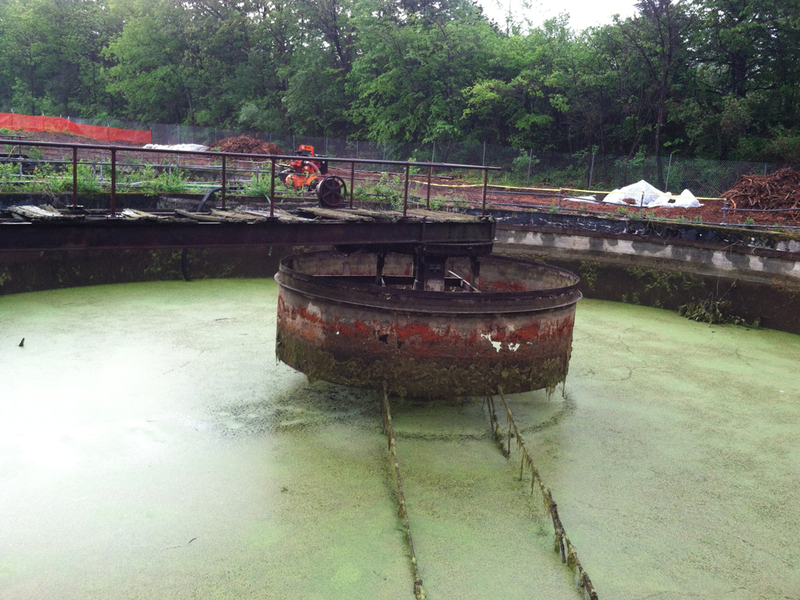 Each tank was cleaned under confined space entry procedures. 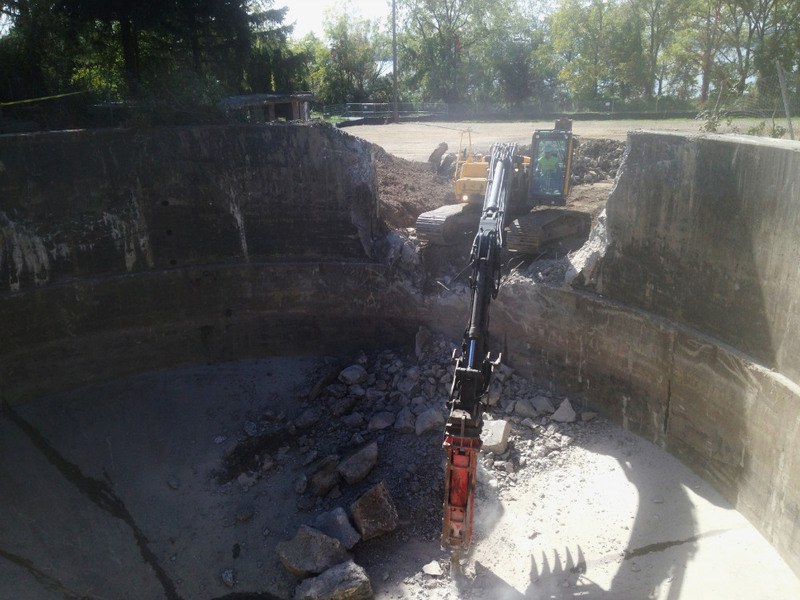 The project also involved removal of a large debris pile of approximately 800 yards of concrete, which was transported off-site for recycling. NRC managed 330,000 gallons of sediments and 1,000,000 gallons of water from nine waste clarifier tanks associated with the former Air Force Base’s waste water treatment (WWT) facility that had been abandoned for 20 years. The initial plan for the management of the water and sediments was to slurry the sediments and transport both waste streams off site for treatment at a regional waste water treatment facility. However, the sediments contained a significant volume of solids that made slurring difficult, required more water than expected, and made management at the WWT facility difficult. The designated WWT facility refused to accept additional sludge materials once the estimated volume for the project of 330,000 gallons was received. Other facilities in the region did not have the capacity to manage the projected volume of slurried sediment materials or high solids content. This was a major setback for the project considering there was an estimated 800,000 gallons of water and 3,000 CY of sediment remaining on site. The determination was made to dewater the remaining sediments, solidify them in place and transport them off site for final disposal at a regional subtitle D landfill. The stabilization was conducted using a cement kiln dust at a 6% dosage rate and kiln dried saw dust at a 10% dosage rate. The minimum landfill requirement for the stabilized materials was passing the paint filter test prior to shipping. Site restoration involved importing over 23,000 tons of clean fill and compacting it to a 90% compaction standard. 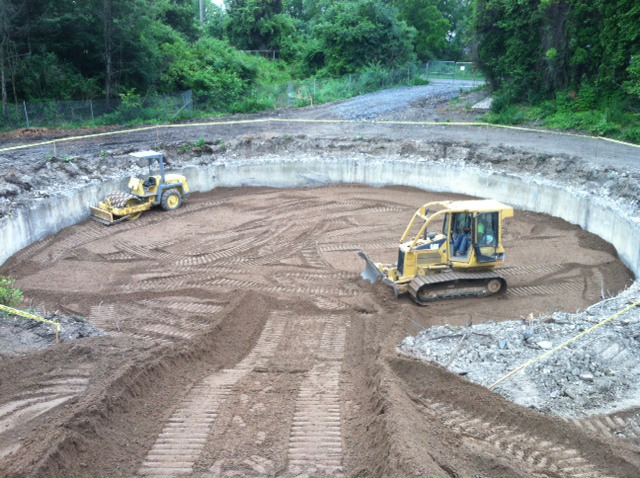 Excavated 2,000 tons of ash-impacted soil. Demolition of numerous buildings, tanks, and structures. 800 CY of concrete transported off-site for recycling. 1 million gal. of wastewater & 325,000 gal. of sludge transported off-site. Solidified 300,000 gallons of sludge.